The crisp air. The sun-soaked winter skies. A view of the Continental Divide. Ice skating in the great outdoors is not only good for the soul but is an ideal activity for the whole family. Trout Haven’s outdoor ice rink is open December through April (weather permitting) from 10am to 6pm, Friday through Sunday from 10am to 8pm. They rent skates and skate time for $5. If you have your own skates its only $3 to skate. Take a break in their warming house to thaw out your toes and enjoy a cup of coffee or hot cocoa. It’s all about family at Trout Haven. Every Friday they set up a goal for Hockey Shoot-out. Saturdays is Skate Night Date Night from 4-8pm when a guest’s partner gets free skate rentals and skate time. 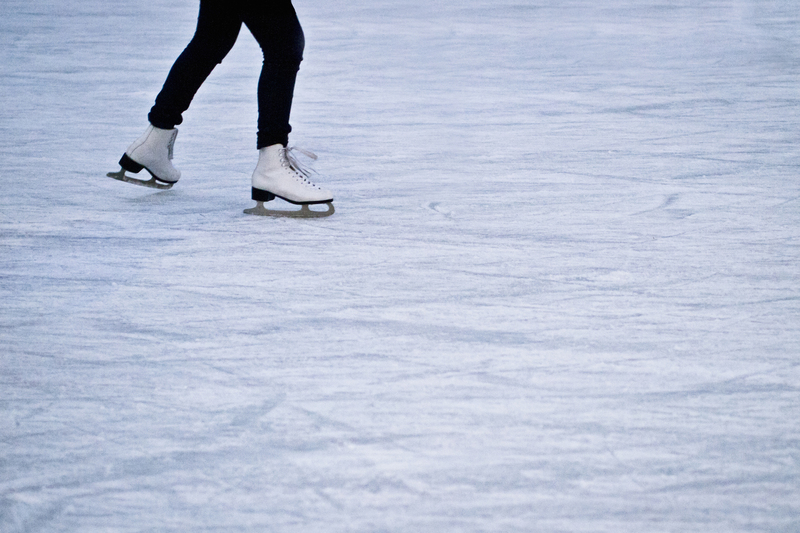 On Sunday, wear a sports jersey and get a free skate rental. Please call 970-577-0202 for conditions or visit their website at www.trouthavenfishing.com. Dorsey Lake at the entrance of the YMCA of the Rockies is a classic mountain lake perfect for ice skating. Roast marshmallows over an open fire ring. Ice skates are available at Sweet Memorial Program Building. There is no deposit or rental for those lodging at the YMCA. Visitors can show a YMCA membership or purchase a day pass for $20 per person (age 13+), $10 for children (age 6-12), and free for children (5 and under). Skate sizes range from children 8 to adult 13. Call Sweet Memorial (970) 586-3341 for Dorsey Lake conditions. There is nothing more exhilarating than ice skating in the Colorado Rockies. What are you waiting for?